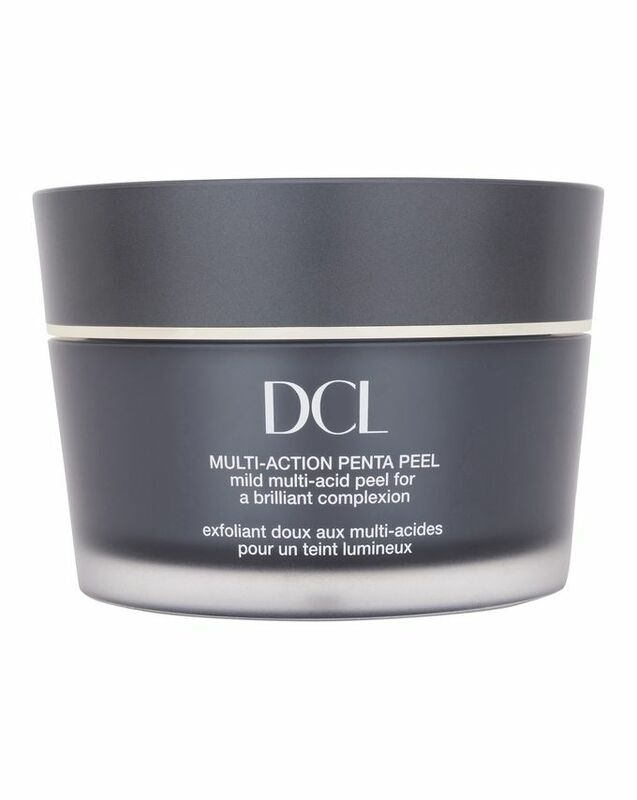 Powered by a blend of five naturally derived acids, these multi-purpose peel pads gently resurface and renew even the most sensitive skin in five minutes flat. Refining texture, unclogging pores, brightening and hydrating, these industrious pads also physically buff away imperfections to uncover youthful, fresh-looking skin. Buff your way to beautiful (no bluffing necessary) in five minutes flat with these ground-breaking, multi-purpose peel pads – each one is a sure-fire shortcut to renewed radiance. Delivered as pre-moistened, single-use pads, this peel unites five naturally derived acids for comprehensive complexion enhancement. 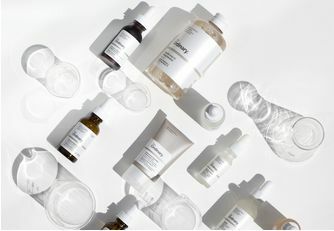 Salicylic acid unclogs pores, hyaluronic acid deeply hydrates, lactic acid smooths rough spots, phytic acid brightens and evens and, finally, mandelic acid refines texture. As well as acid exfoliation, these industrious little pads also physically buff away imperfections to uncover youthful, fresh-looking skin that’s recaptured its well-deserved radiance. Every other day, up to three times each week, sweep single-use pad in a gentle circular motion over clean, dry skin from the forehead to neck, avoiding eyes and lips. Relax for 3-5 minutes, and then rinse with cool water. Follow with sunscreen in the morning, moisturizer in the evening. I was a bit hesitant before trying this but I swear to god, this made my skin instantly look brighter, more awake and just overall healthier. I have never had much acne but I've been struggling with enlarged pores and this helped to minimise their appearance, such a great investment. I should admit that my skin is so sensitive that it’s not even normal and I was so afraid of getting irritation or bumps all over my face! But this is just a miracle! Even my dry skin is so glowy and fresh now. I’m just in love. Little advice- if you have sensitive skin don’t leave it for 20 mins as it is suggested, I use it for 10 minutes and it’s the same result. If you have an opportunity to buy it- definitely do it! It’s totally worth it! These feel quite strong, some redness and tingling but they don’t cause a reaction or lasting irritation. They tackle flakes and discolouration but seem less effective on blemishes than some Dr Gross or Skyn pads. Good, strong, worth the money for anti-aging etc. I have oily, acne-prone skin and this is the only one item I am satisfied with the category. It will be strong for sensitive skin (not for me) but very effective. I could see my skin renews with this pad. I met this product from cult beauty box only I used it once I decide to buy backups. I have a very sensitive skin and rosacea to go with as well, this exfoliant is too aggressive, it stung and could not see any difference. Zelens pads are so much more worth the price. Of you enjoy smells in your skincare this is not for you. The smell is strange, almost like something that has been burnt. But it gets the job done well. The peice is a little high for me but I will purchase it again, just not gonna be my daily acid toner. I will not be without this peel and my P50 from Biologique Recherche. Both have transformed my acne. The best peel on the market. Head and shoulders above the rest. Best acid peel out there! I received these as part of the Caroline Hirons Box and I have been so impressed! The results speak for themselves. I don't find any issues with the smell, it has a very clean, clinical smell; which I enjoy! Yes, they aren't cheap but personally, I think they are worth the money and will continue to repurchase.